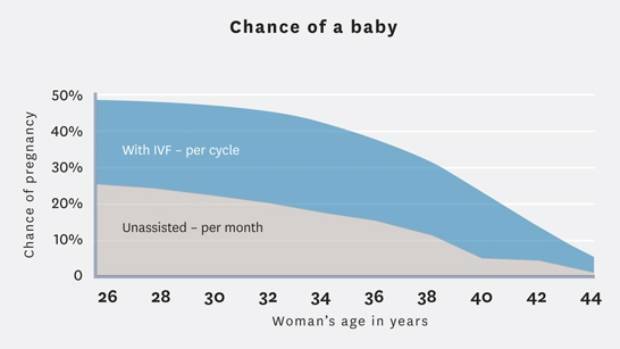 Is Age a Big Factor for The IVF Treatment? IVF evolved in the 1970’s but not many people knew about it. There were only few couples who opted it as one of the last resorts for them. Mainly the treatment catered to only females have blocked fallopian tubes but later on new technologies emerged. Medical science made a lot of advancements and today IVF is able to treat a number of infertility issues. Also its popularity is so high that even the young couples aged between 25-30 are going for it. Today IVF has become common with its awareness increasing day by day. Earlier people hesitated to talk about it but now times have changed and people are discussing and gathering more information without having any doubt in their mind. No matter what kind of internal problem, the male or female is going through IVF will curb everything thereby giving you a hope to become pregnant. There are countless IVF centers in India where you can avail this service but choosing a trusted one can make a huge difference. This is the reason that one should be careful and opt for a reliable ivf treatment centre only. Dr Shivani Sachdev Gour is the infertility specialist who has helped many couples and made then the proud parents. Her maximum cases have been successful with more and more couples approaching her for the best solutions. But couples have a lot of questions in mind and one is about the right age for availing the IVF treatment. There are so many people who ask as what is the right age to go for the IVF treatment. As such there is no age bar for this treatment as couples of the age 40 and above are also going through the IVF treatment. Though the chances of success really come down with the increasing age but still there is no effect on the body or there are no risk factors associated. Today the couples have become a little smart and are trying this treatment at early stage. This has what increased the chances of success by leaps and bounds. So if you are thinking about the age factor, do not worry as IVF can be tried at any age group. There are no restrictions for the same but you need to consult the expert regarding the rate of success. Depending on your health and internal organs the doctor will be able to guide you as what are the chances of success and how to go about it. In this way you will be able to receive the right assistance and information which will be useful while taking the decision. IVF is highly successful and in case age increases one can go for more IVF treatments as well. The only thing is to find a good specialist who has years of experience and has dealt with similar cases. Only then you can be rest assured that your case is in safe hands. Dr Shivani Sachdev Gour is definitely the right expert to offer the best IVF treatment you are looking for.